…. everything for your home. we handle this issue in cooperation with our partners to examine the complete documents and forwards to completeness to investors. Here packages are provided with 10 million total investment together and passed on. So if you need an investment for your project and ended up here on our site, you should not leave no stone unturned, may get about us and our contacts financing by an investor. we can guarantee at this time nothing !. By examination of the documents and of the recovery of the missing documents, the tide, however, contact, and by sending an e-mail of my cooperation partner, you will get though as little as me a guarantee of financing, however, the odds have increased. The final commitment, the investor must make yourself whether your project for him is interesting or not. Here you can already download the Word document, and then send it to us at our email address invest@scr-bau.eu. From a financing volume of EUR 3 million over the possibility directly connected investors is submitted well-prepared financing requests. These applications will be specially prepared for the investors and put this in digitized form. We guarantee that your requests with the necessary care and skill are processed as quickly. You get all the compiled documents of digitized applications. The terms of the individual borrowers are determined in each case after review by the lender. The creditworthiness and whether the respective bank or the investor makes a loan to you, assess the credit forgiver parties having considered your request and evaluating the creditworthiness. 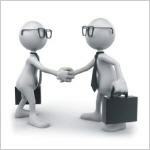 The use of this easement of mediation is provided by us, SCRBau Tenerife SL, with a fee agreement and their invoice. Legal counsel is not done by us! For more information on this topic, see the FAQ button. Get started with the right documents.